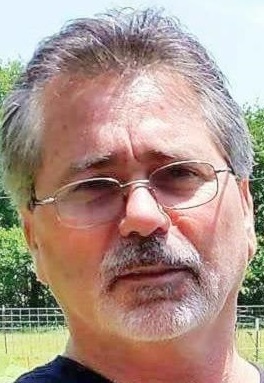 Roy Wayne Woodruff died March 23, 2019 in Lexington, Oklahoma at the age of 58 years 1 month 26 days. Memorial Services are scheduled for 2:00 PM, Saturday, April 6, 2019 at Wadley’s Funeral Chapel, entrusted to the care of Wadley’s Funeral Service. Roy was born January 28, 1961 in St. Louis, Missouri to James Edward and Virginia Irene (Cain) Woodruff. He was raised in Missouri, Pennsylvania and Oklahoma. Roy married Tina Stevenson on June 24, 2000 in Norman, Oklahoma. He worked as an automotive technician for Ferguson’s, retiring in October 2017. Roy enjoyed working on cars, riding motorcycles, drag racing, collection hot-wheels, designing and building things. He loved family gatherings, barbeques and teaching his family life skills. Hunting, Fishing, Outdoor activities, farming and horseback riding were just a few of his favorite past-times. Roy is preceded in death by his father, James Edward Woodruff; step -father, Fredrick Dean Bracken; and mother in law, Patty Ann Stevenson; sister in law, Gwen Hart. Survivors include his mother, Virginia (Cain) Bracken; adoptive mother, Patricia Weatherly; wife, Tina Woodruff; son, Joseph Stevenson and wife, Afton; daughter, Autumn Woodruff; daughter, Katarina Ivkovic; daughter, Stientje Scholz; sisters, Hazel Shea and husband, Billy, Patricia Moses and husband, Bo, Marlene Kohler and husband, Mike, Laura Wingard and husband, David, Barbara Bracken, Jennifer Edwards and husband, William; brothers, Roger Woodruff and wife, Lisa, Cory Woodruff and wife, Missy, Richard Saunders, Eric Bracken; sisters in law, Angela Palmer and husband, Casey, Stephanie Johanson and husband, Jeff; and many other relatives and friends.